2011 Juke S all wheel drive 5 door in graphite grey metallic with charcoal interior. Clean Carfax fresh trade-in. with 71,000 miles on it. This is a nice little SUV! With Bluetooth, cruise control, power windows and locks. remote key, factory alloy wheels with almost new tires, and just serviced, including a brake system. PRICE DROP FROM $9,995, $600 below Kelley Blue Book! flush and fresh filters. SEE MORE! Given a complete inspection in our shop, serviced, and detailed. Call, or come by for a demonstration today! OPTION PACKAGES REAR ROOF SPOILER. MP3 Player, Keyless Entry, Child Safety Locks, Steering Wheel Controls, Electronic Stability Control. EXPERTS ARE SAYING Edmunds.com's review says A drive in the 2011 Nissan Juke will have you seeing the inner beauty of this feisty little hatchback.. AFFORDABILITY Was $9,995. This JUKE is priced $600 below Kelley Blue Book. VISIT US TODAY Shop with confidence at Lyle Pearson's! Every pre-owned vehicle undergoes a comprehensive inspection in our service department before being offered for sale. A free Carfax report is offered on line and in the showroom, and our lowest price is clearly marked on every vehicle on the lot. Come see us on line or in person today! Pricing analysis performed on 4/9/2019. Fuel economy calculations based on original manufacturer data for trim engine configuration. Please confirm the accuracy of the included equipment by calling us prior to purchase. GREAT MILES 58,598! MOON ROOF, LEATHER SEATS, NAVIGATION SYSTEM, ALL WHEEL DRIVE, GREAT PRICE, GREAT VALUE, SEL trim. Heated Leather Seats, CD Player, Onboard Communications System, Dual Zone A/C, iPod/MP3 Input, All Wheel Drive, Alloy Wheels, Satellite Radio, Flex Fuel, IIHS Top Safety Pick, A solid performer. -KBB.com. 5 Star Driver Front Crash Rating. SEE MORE! KEY FEATURES INCLUDE Leather Seats, All Wheel Drive, Heated Driver Seat, Flex Fuel, Satellite Radio, iPod/MP3 Input, CD Player, Onboard Communications System, Aluminum Wheels, Dual Zone A/C, Heated Seats, Heated Leather Seats. MP3 Player, Remote Trunk Release, Keyless Entry, Steering Wheel Controls, Child Safety Locks. EXPERTS CONCLUDE Edmunds.com explains It is defined by its handsome styling, sporty handling character and spacious cabin.. Car and Driver Editors Choice. 5 Star Driver Front Crash Rating. 5 Star Driver Side Crash Rating. MORE ABOUT US Shop with confidence at Lyle Pearson's! Every pre-owned vehicle undergoes a comprehensive inspection in our service department before being offered for sale. A free Carfax report is offered on line and in the showroom, and our lowest price is clearly marked on every vehicle on the lot. Come see us on line or in person today! Please confirm the accuracy of the included equipment by calling us prior to purchase. LOW MILES - 44,908! NEW TIRES, VEHICLE SOLD AS-IS. SLK350, Firemist Red Metallic exterior. Heated Leather Seats, Navigation, DVD Entertainment System, Dual Zone A/C, Convertible Hardtop, Onboard Communications System, Alloy Wheels, PREMIUM PKG, ENTERTAINMENT PKG W/NAVIGATION, LIGHTING PKG, HEATED SEATS, GLOVEBOX-MOUNTED 6-DISC CD CHANGER, 7-SPEED AUTOMATIC DRIVER-ADAPTIVE TRA... CLICK NOW! KEY FEATURES INCLUDE Leather Seats, Onboard Communications System, Convertible Hardtop, Aluminum Wheels, Dual Zone A/C, Heated Leather Seats. OPTION PACKAGES ENTERTAINMENT PKG W/NAVIGATION: Comand headunit w/DVD-based navigation system, harman/kardon Logic7 surround sound system, glovebox-mounted 6-disc CD Changer, PREMIUM PKG: auto climate control, rain sensing wipers, HomeLink garage door opener, auto dimming mirrors, variable vehicle-speed-sensitive steering, IR remote roof automation, ambient light pkg, 7-SPEED AUTOMATIC DRIVER-ADAPTIVE TRANSMISSION Touch Shift, optimum gear programming, comfort mode, LIGHTING PKG: bi-xenon headlamps w/heated washers, HEATED SEATS, GLOVEBOX-MOUNTED 6-DISC CD CHANGER. Remote Trunk Release, Keyless Entry, Steering Wheel Controls, Rollover Protection System, Electronic Stability Control. VEHICLE REVIEWS A fun-to-drive roadster that combines the safety and security of a hardtop, the wind-in-your-hair fun of a convertible and the European-brand cachet of a Mercedes all in one powerful and attractively styled package. -Edmunds.com. MORE ABOUT US Shop with confidence at Lyle Pearson's! Every pre-owned vehicle undergoes a comprehensive inspection in our service department before being offered for sale. A free Carfax report is offered on line and in the showroom, and our lowest price is clearly marked on every vehicle on the lot. Come see us on line or in person today! Pricing analysis performed on 4/16/2019. Please confirm the accuracy of the included equipment by calling us prior to purchase. SLE trim. VEHICLE SOLD AS-IS. 3rd Row Seat, CD Player, Flex Fuel, Dual Zone A/C, Onboard Communications System, Running Boards, Tow Hitch, SEATS, THIRD ROW 50/50 SPLIT-BENCH, Alloy Wheels, Rear Air, 4x4, Edmunds Consumers' Most Wanted SUV Under $45,000, newCarTestDrive.com explains Cargo space is where the Yukon XL excels.. 5 Star Driver Front Crash Rating. CLICK NOW! KEY FEATURES INCLUDE 4x4, Rear Air, Running Boards, Flex Fuel, CD Player, Onboard Communications System, Trailer Hitch, Aluminum Wheels, Dual Zone A/C OPTION PACKAGES SEATS, THIRD ROW 50/50 SPLIT-BENCH: with Custom Cloth, 2-passenger, removable, all-belts-to-seat. MP3 Player, Privacy Glass, Keyless Entry, Steering Wheel Controls, Electronic Stability Control. EXPERTS CONCLUDE Edmunds.com's review says Completely overhauled for 2007. The most notable changes include a more spacious cabin with upgraded materials, a more powerful 5.3-liter V8, . Edmunds Consumers' Most Wanted SUV Under $45,000. 5 Star Driver Front Crash Rating. 5 Star Passenger Front Crash Rating. WHY BUY FROM US Shop with confidence at Lyle Pearson's! Every pre-owned vehicle undergoes a comprehensive inspection in our service department before being offered for sale. A free Carfax report is offered on line and in the showroom, and our lowest price is clearly marked on every vehicle on the lot. Come see us on line or in person today! Pricing analysis performed on 4/5/2019. Please confirm the accuracy of the included equipment by calling us prior to purchase. CARFAX 1-Owner, IN THE SNOW OR ON THE ROAD THIS IS A GREAT VEHICLE, GREAT MILES 30,088! Latitude trim. REDUCED FROM $17,995!, EPA 31 MPG Hwy/24 MPG City!, PRICED TO MOVE $1,900 below Kelley Blue Book! Satellite Radio, Back-Up Camera, Bluetooth, iPod/MP3 Input, Aluminum Wheels, PASSIVE ENTRY/KEYLESS-GO, 4x4, Turbo Charged Engine, Edmunds.com's review says Rewarding to drive yet still practical, the Renegade is one of our top picks.. SEE MORE! KEY FEATURES INCLUDE 4x4, Back-Up Camera, Turbocharged, Satellite Radio, iPod/MP3 Input, Bluetooth, Aluminum Wheels. OPTION PACKAGES PASSIVE ENTRY/KEYLESS-GO. Rear Spoiler, MP3 Player, Privacy Glass, Steering Wheel Controls, Child Safety Locks. EXPERTS ARE SAYING Edmunds.com explains Rewarding to drive yet still practical, the Renegade is one of our top picks.. AFFORDABLE Was $17,995. This Renegade is priced $1,900 below Kelley Blue Book. PURCHASE WITH CONFIDENCE CARFAX 1-Owner VISIT US TODAY Shop with confidence at Lyle Pearson's! Every pre-owned vehicle undergoes a comprehensive inspection in our service department before being offered for sale. A free Carfax report is offered on line and in the showroom, and our lowest price is clearly marked on every vehicle on the lot. Come see us on line or in person today! Pricing analysis performed on 4/9/2019. Fuel economy calculations based on original manufacturer data for trim engine configuration. Please confirm the accuracy of the included equipment by calling us prior to purchase. Black exterior and Black interior, NAVIGATION SYSTEM, MOON ROOF, AWD, GREAT ON THE ROAD OR IN THE SNOW, CARFAX 1-Owner 49315 MILES, Moonroof, Heated Seats, 4MATIC all-wheel drive, Dual Zone A/C, CD Player, Bluetooth, Aluminum Wheels, IPOD/MP3 MEDIA INTERFACE, REARVIEW CAMERA, SIRIUSXM SATELLITE RADIO, HEATED FRONT SEATS, BURL WALNUT WOOD TRIM, CarAndDriver.com's review says Available in Luxury or Sport trim, the handsome C-class can be configured to satisfy just about any driver.. READ MORE! KEY FEATURES INCLUDE Sunroof, 4MATIC all-wheel drive, Bluetooth, CD Player, Aluminum Wheels, Dual Zone A/C. Mercedes-Benz C 300 Sport with Black exterior and Black interior features a V6 Cylinder Engine with 228 HP at 6000 RPM*. OPTION PACKAGES HEATED FRONT SEATS, REARVIEW CAMERA, SIRIUSXM SATELLITE RADIO, BURL WALNUT WOOD TRIM, IPOD/MP3 MEDIA INTERFACE. MP3 Player, Keyless Entry, Steering Wheel Controls, Child Safety Locks, Heated Mirrors. WHO WE ARE Shop with confidence at Lyle Pearson's! Every pre-owned vehicle undergoes a comprehensive inspection in our service department before being offered for sale. A free Carfax report is offered on line and in the showroom, and our lowest price is clearly marked on every vehicle on the lot. Come see us on line or in person today! Horsepower calculations based on trim engine configuration. Please confirm the accuracy of the included equipment by calling us prior to purchase. SE trim. REDUCED FROM $17,995!, FUEL EFFICIENT 33 MPG Hwy/24 MPG City!, $1,100 below Kelley Blue Book! Bluetooth, CD Player, Alloy Wheels, Back-Up Camera, iPod/MP3 Input, Edmunds.com's review says The 2017 Toyota Camry provides one of the most comfortable and spacious cabins of any midsize family sedan. There's plenty of headroom and legroom up front and nearly as much in back, where even taller adults will be content to ride for extended periods.. CLICK NOW! KEY FEATURES INCLUDE Back-Up Camera, iPod/MP3 Input, Bluetooth, CD Player, Aluminum Wheels. Rear Spoiler, MP3 Player, Keyless Entry, Remote Trunk Release, Child Safety Locks. AFFORDABLE TO OWN Was $17,995. This Camry is priced $1,100 below Kelley Blue Book. VISIT US TODAY Shop with confidence at Lyle Pearson's! Every pre-owned vehicle undergoes a comprehensive inspection in our service department before being offered for sale. A free Carfax report is offered on line and in the showroom, and our lowest price is clearly marked on every vehicle on the lot. Come see us on line or in person today! Pricing analysis performed on 4/9/2019. Fuel economy calculations based on original manufacturer data for trim engine configuration. Please confirm the accuracy of the included equipment by calling us prior to purchase. Fully loaded all wheel drive LTZ package with navigation system and moonroof, heated leather seats, power remote tailgate and remote start, Pioneer premium sound with media interface and Bluetooth, $3,700 below Kelley Blue Book! CARFAX 1-Owner. Heated Leather Seats, Navigation, Sunroof, All Wheel Drive, Onboard Communications System, Satellite Radio, Back-Up Camera, ENGINE, 3.6L V6 SIDI (SPARK IGNITION.. SUNROOF, POWER, TILT-SLIDING WITH EXP... TECHNOLOGY PACKAGE AND MORE! Given a complete inspection in our shop, serviced, and detailed. Call, or come by for a demonstration today! OPTION PACKAGES ENGINE, 3.6L V6 SIDI (SPARK IGNITION DIRECT INJECTION): with VVT (Variable Valve Timing) (301 hp [224.4 kW] @ 6500 rpm, 272 lb-ft [367.2 N-m] @ 4800 rpm), SUNROOF, POWER, TILT-SLIDING WITH EXPRESS-OPEN AND WIND DEFLECTOR, TECHNOLOGY PACKAGE: includes (UHQ) Chevrolet MyLink radio with Navigation and (UZ8) Pioneer premium 8-speaker sound system. Keyless Entry, Privacy Glass, Steering Wheel Controls, Child Safety Locks, Electronic Stability Control. VEHICLE REVIEWS No matter which model you choose, you'll enjoy a big backseat that slides and reclines, as well as a ride that's smooth and quiet relative to other reasonably priced crossovers. -Edmunds.com. A GREAT TIME TO BUY Reduced from $20,995. This Equinox is priced $3,700 below Kelley Blue Book. BUY FROM AN AWARD WINNING DEALER Shop with confidence at Lyle Pearson's! Every pre-owned vehicle undergoes a comprehensive inspection in our service department before being offered for sale. A free Carfax report is offered on line and in the showroom, and our lowest price is clearly marked on every vehicle on the lot. Come see us on line or in person today! Pricing analysis performed on 4/16/2019. Fuel economy calculations based on original manufacturer data for trim engine configuration. Please confirm the accuracy of the included equipment by calling us prior to purchase. 2014 B Class Electric Drive 5 passenger 5 door crossover in white with black interior. A super clean 1-owner lease return with just 24,800 miles. Well equipped Premium package car with harman/kardon. premium audio with satellite tuner and Bluetooth media, heated seats, bi-xenon headlights, Map Pilot GPS navigation system and more. The annual maintenance is done, and we put new tires on it. Books, keys, 110V charging cable all with the car. As-new inside and out. Heated Seats, NAV KEY FEATURES INCLUDE Navigation, Onboard Communications System, Aluminum Wheels Mercedes-Benz B-Class with Cirrus White exterior and Black interior features a Electric Motor. OPTION PACKAGES PREMIUM PACKAGE: Garage Door Opener, Compass, Bi-Xenon Headlamps, Heated Seats, iPod/MP3 Media Interface, SIRIUSXM Satellite Radio, Auto Dimming Mirrors, harman/kardon Sound System, BURL WALNUT WOOD TRIM (MATTE). Rear Spoiler, Keyless Entry, Steering Wheel Controls, Rear Parking Aid, Heated Mirrors. VEHICLE REVIEWS Edmunds.com explains . the B-Class provides plenty of headroom and legroom for four adults. Luggage and cargo space are also very good, as the battery pack is located underneath the floor instead of taking up space inside the vehicle itself.. A GREAT VALUE Was $22,995. This B-Class is priced $200 below Kelley Blue Book. SHOP WITH CONFIDENCE CARFAX 1-Owner WHY BUY FROM US Shop with confidence at Lyle Pearson's! Every pre-owned vehicle undergoes a comprehensive inspection in our service department before being offered for sale. A free Carfax report is offered on line and in the showroom, and our lowest price is clearly marked on every vehicle on the lot. Come see us on line or in person today! Pricing analysis performed on 3/11/2019. Please confirm the accuracy of the included equipment by calling us prior to purchase. Tech Pkg trim, Crystal Black Pearl exterior and Ebony interior. Nav System, Moonroof, Heated Leather Seats, Back-Up Camera, Premium Sound System, Power Liftgate, Aluminum Wheels, All Wheel Drive, Panoramic Roof, The ZDX is light on its feet for its size, and its sumptuous interior is packed with numerous high-tech features and standard amenities. -CarAndDriver.com. AND MORE! KEY FEATURES INCLUDE Leather Seats, Navigation, Sunroof, Panoramic Roof, All Wheel Drive, Power Liftgate, Heated Driver Seat, Back-Up Camera, Premium Sound System, Satellite Radio, iPod/MP3 Input, Onboard Communications System, Aluminum Wheels, Keyless Start, Dual Zone A/C Acura Tech Pkg with Crystal Black Pearl exterior and Ebony interior features a V6 Cylinder Engine with 300 HP at 6300 RPM*. MP3 Player, Keyless Entry, Remote Trunk Release, Privacy Glass, Steering Wheel Controls. EXPERTS ARE SAYING CarAndDriver.com's review says The ZDX is light on its feet for its size, and its sumptuous interior is packed with numerous high-tech features and standard amenities.. OUR OFFERINGS Shop with confidence at Lyle Pearson's! Every pre-owned vehicle undergoes a comprehensive inspection in our service department before being offered for sale. A free Carfax report is offered on line and in the showroom, and our lowest price is clearly marked on every vehicle on the lot. Come see us on line or in person today! Pricing analysis performed on 3/12/2019. Horsepower calculations based on trim engine configuration. Please confirm the accuracy of the included equipment by calling us prior to purchase. CARFAX 1-Owner. Vehicle sold AS-IS, NAVIGATION SYSTEM. JUST REPRICED FROM $19,990, $1,900 below Kelley Blue Book! Ltd trim. Sunroof, NAV, Heated Leather Seats, 3rd Row Seat, Power Liftgate, Rear Air, 4x4, NAVIGATION SYSTEM, Tow Hitch, Alloy Wheels, CarAndDriver.com explains The Tundra-based, eight-passenger ute has up to 10,000 pounds of towing capacity and a model range that extends from basic SR5 to the epicurean Platinum edition.. CLICK ME! KEY FEATURES INCLUDE Leather Seats, Third Row Seat, Sunroof, 4x4, Power Liftgate, Rear Air, Heated Driver Seat, Running Boards, Trailer Hitch, Aluminum Wheels, Dual Zone A/C, Heated Seats, Heated Leather Seats. OPTION PACKAGES NAVIGATION SYSTEM: DVD navigation system, JBL AM/FM/MP3 stereo w/4-disc in-dash CD changer, (14) speakers, aux audio input jack, USB port, XM satellite radio & XM NavTraffic, Bluetooth wireless communication, backup monitor. Rear Spoiler, Remote Trunk Release, Privacy Glass, Keyless Entry, Child Safety Locks. EXPERTS ARE SAYING CarAndDriver.com's review says The Tundra-based, eight-passenger ute has up to 10,000 pounds of towing capacity and a model range that extends from basic SR5 to the epicurean Platinum edition.. AFFORDABLE Reduced from $19,990. This Sequoia is priced $1,900 below Kelley Blue Book. 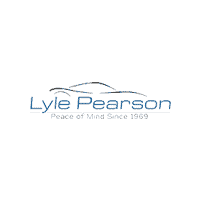 SHOP WITH CONFIDENCE CARFAX 1-Owner WHY BUY FROM US Shop with confidence at Lyle Pearson's! Every pre-owned vehicle undergoes a comprehensive inspection in our service department before being offered for sale. A free Carfax report is offered on line and in the showroom, and our lowest price is clearly marked on every vehicle on the lot. Come see us on line or in person today! Pricing analysis performed on 4/16/2019. Please confirm the accuracy of the included equipment by calling us prior to purchase. 2015 Terrain SLT all wheel drive in Onyx Black with black leather interior. Options include heated leather seats, tilt and slide moonroof, Pioneer premium sound with Bluetooth hands-free and media interface, back up camera. power tailgate, factory remote start and more. Very clean inside and out, and we just put 4 new tires on! PRICED TO MOVE $600 below Kelley Blue Book! Given a complete inspection in our shop, serviced, and detailed. Call, or come by for a demonstration today!GMC SLT with Onyx Black exterior and Jet Black interior features a V6 Cylinder Engine with 301 HP at 6500 RPM*. OPTION PACKAGES ENGINE, 3.6L V6 SIDI (SPARK IGNITION DIRECT INJECTION) with VVT (Variable Valve Timing) (301 hp [224.4 kW] @ 6500 rpm, 272 lb-ft [367.2 N-m] @ 4800 rpm), AUDIO SYSTEM, COLOR TOUCH AM/FM/SIRIUSXM STEREO WITH CD PLAYER AND MP3 PLAYBACK includes 7 diagonal color touch-screen display, USB and AUX port and iPod support (STD) (Includes IntelliLink. TRANSMISSION, 6-SPEED AUTOMATIC (STD). Privacy Glass, Remote Trunk Release, Keyless Entry, Child Safety Locks, Steering Wheel Controls. EXPERTS ARE SAYING Edmunds.com's review says Particularly noticeable is the attention to sound-deadening in the Terrain. An acoustic windshield and other noise-killing measures. work wonders in muting tire and wind noise, even during high-speed cruising.. PRICED TO MOVE This Terrain is priced $600 below Kelley Blue Book. MORE ABOUT US Shop with confidence at Lyle Pearson's! Every pre-owned vehicle undergoes a comprehensive inspection in our service department before being offered for sale. A free Carfax report is offered on line and in the showroom, and our lowest price is clearly marked on every vehicle on the lot. Come see us on line or in person today! Pricing analysis performed on 4/6/2019. Horsepower calculations based on trim engine configuration. Please confirm the accuracy of the included equipment by calling us prior to purchase. CARFAX 1-Owner, GREAT LOOKING CAR, ALL THE RIGHT EQUIPMENT, INCLUDING PREMIUM PACKAGE AND NAVIGATION, LOW MILES - 45,335! 328i xDrive trim. REDUCED FROM $22,995!, $3,500 below Kelley Blue Book!, EPA 33 MPG Hwy/22 MPG City! Navigation, Moonroof, Heated Seats, All Wheel Drive, Rear Air, Onboard Communications System, CD Player, iPod/MP3 Input, SPARKLING BRONZE METALLIC, NAVIGATION SYSTEM W/TOUCHPAD, HEATED FRONT SEATS, Turbo Charged, SPORT LINE, PREMIUM PACKAGE SEE MORE! KEY FEATURES INCLUDE All Wheel Drive, Rear Air, Turbocharged, iPod/MP3 Input, CD Player, Onboard Communications System, Dual Zone A/C. OPTION PACKAGES PREMIUM PACKAGE: Moonroof, Satellite Radio, Comfort Access Keyless Entry, Lumbar Support, SPORT LINE: black high-gloss design elements (bumper and air intake trim, kidney bars, exhaust pipes, B-pillar and mirror caps), chrome rings around A/C and radio controls, sport instrument cluster and signature key, Sport Line Aesthetic Elements, Wheels: 18 x 8 Light Alloy (Style 397) Double-spoke, Tires: P225/45R18 All Season, Without Lines Designation Outside, Sport Seats, Anthracite Headliner, High-Gloss Black Trim, Black Door Mirror Caps, Matte Coral Red Highlight Trim Finishers, NAVIGATION SYSTEM W/TOUCHPAD: Remote Services, Advanced Real-Time Traffic Information Child Safety Locks, Steering Wheel Controls, Heated Mirrors, Electronic Stability Control, Electrochromic rearview mirror. CARFAX 1-Owner WHY BUY FROM US Shop with confidence at Lyle Pearson's! Every pre-owned vehicle undergoes a comprehensive inspection in our service department before being offered for sale. A free Carfax report is offered on line and in the showroom, and our lowest price is clearly marked on every vehicle on the lot. Come see us on line or in person today! Pricing analysis performed on 4/9/2019. Fuel economy calculations based on original manufacturer data for trim engine configuration. Please confirm the accuracy of the included equipment by calling us prior to purchase. Carbide Gray Metallic exterior and Slate Black interior, ALL WHEEL DRIVE, HEATED SEATS, BACKUP CAMERA, POWER SEAT, GREAT ON THE ROAD OR ON SLICK ROAD CONDITIONS, Premium trim. GREAT MILES 18,810! FUEL EFFICIENT 34 MPG Hwy/25 MPG City!, $1,500 below Kelley Blue Book! Heated Seats, Onboard Communications System, CD Player, Smart Device Integration, Dual Zone A/C, All Wheel Drive, Aluminum Wheels, Back-Up Camera, iPod/MP3 Input, Satellite Radio. CLICK NOW! KEY FEATURES INCLUDE All Wheel Drive, Heated Driver Seat, Back-Up Camera, Satellite Radio, iPod/MP3 Input, CD Player, Onboard Communications System, Aluminum Wheels, Dual Zone A/C, Smart Device Integration, Heated Seats Subaru Premium with Carbide Gray Metallic exterior and Slate Black interior features a 4 Cylinder Engine with 175 HP at 5800 RPM*. MP3 Player, Keyless Entry, Remote Trunk Release, Steering Wheel Controls, Child Safety Locks. EXPERTS REPORT The Legacy owes its excellent all-weather capability to its standard all-wheel-drive system, a trait that differentiates it clearly from its competitors. -Edmunds.com. EXCELLENT VALUE This Legacy is priced $1,500 below Kelley Blue Book. WHY BUY FROM US Shop with confidence at Lyle Pearson's! Every pre-owned vehicle undergoes a comprehensive inspection in our service department before being offered for sale. A free Carfax report is offered on line and in the showroom, and our lowest price is clearly marked on every vehicle on the lot. Come see us on line or in person today! Pricing analysis performed on 4/18/2019. Horsepower calculations based on trim engine configuration. Fuel economy calculations based on original manufacturer data for trim engine configuration. Please confirm the accuracy of the included equipment by calling us prior to purchase.